Kleese opens up an Energy Rift that restores friendly Shields and deals damage to enemies. Kleese shoots a barrage of Mortars at an area. Mortars damage enemies and deal bonus damage to Shields. Kleese summons a Black Hole that pulls in enemies towards it dealing damage. Kleese fires energy blasts from his Wrist Cannon. He also fires a powerful Shock Taser from his chair, dealing bonus damage to Shields. Kleese controls the battlefield through a variety of electrical based Shield attacks, stripping away his enemies’ Shields and Buffing his teammates’ Shields. Mortars will heal friendly target’s shields. Energy Mortars will slow enemy targets they hit. Using Kleese’s Shock Taser in the air will cause Kleese’s Battle Chair to slam into the ground, depleting his chair energy and dealing damage to all enemies around him. Energy Rifts will now link to each other when near each other. Their output will be increased times the number of rifts in the network. 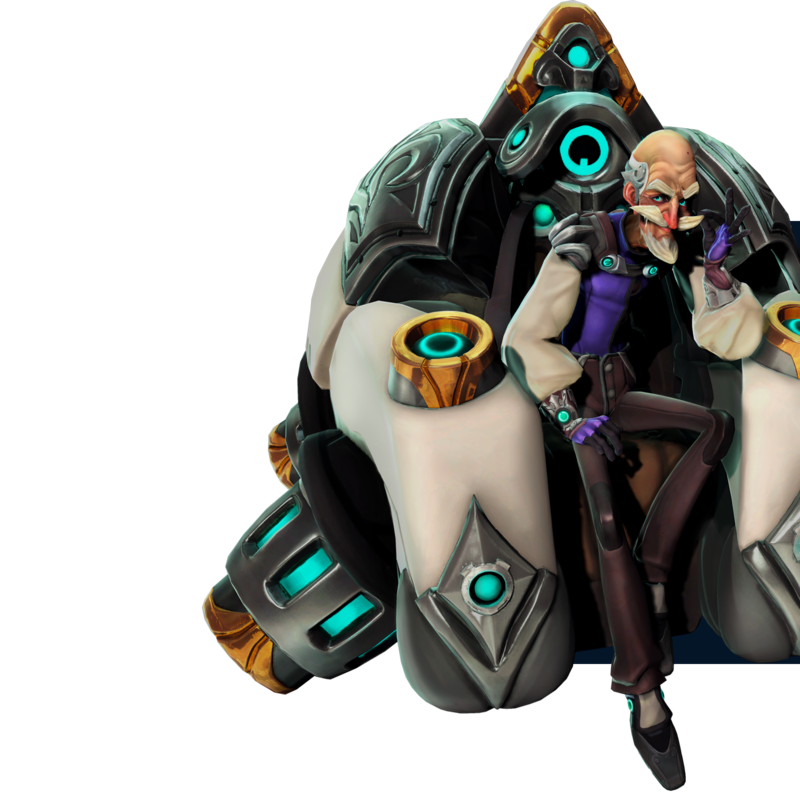 Kleese’s Tactical Battle Chair can heal nearby players every second. Kleese can have additional Energy Rifts alive in the world at the same time. Killing an enemy with Energy Mortars instantly recharges Kleese’s shield. Kleese’s maximum shield strength is increased. Increases the max health of each Energy Rift. Black Hole gives every friendly team member in range an overshield when it implodes. Energy Rift will shock nearby enemies dealing bonus shield damage. Firing Energy Mortars will deplete Kleese’s shield and add it to their damage. Shock Taser now arcs to additional targets. Using Kleese’s Energy Mortars or Wrist Cannon attacks on an Energy Rift will now feed energy into the rift causing it to become unstable. Unstable rifts explode after a short time damaging nearby enemies. Whenever Kleese dies, his Tactical Battle Chair explodes. Kleese can now fire additional Energy Mortars. Energy Mortars now all fire at the same time, blanketing an area. Kleese’s Shock Taser deals increased damage. Increases the pulse speed of Energy Rift. Black Hole causes all friendly Energy Rifts in range to become an Unstable Rift and explode.